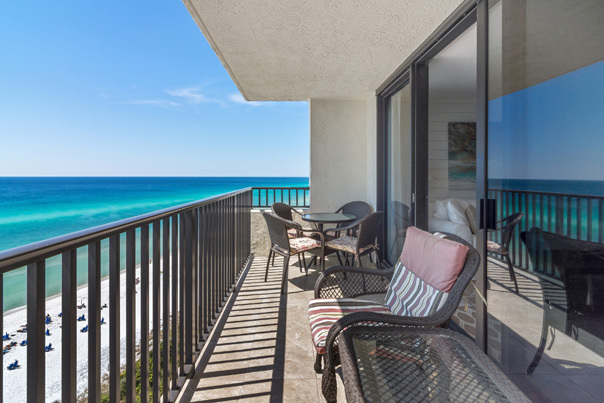 Lose your Stress and find your Soul: Spectacular 180 beach views from the balcony. 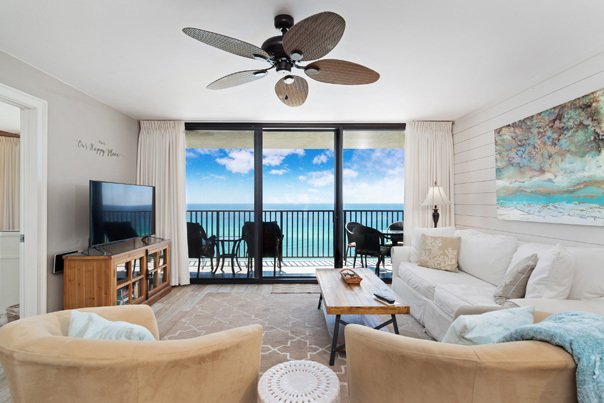 Greet the morning sunrise over Panama City Beach and relax with the sunset over Destin. This unit sits perfectly in the middle of the building. Here you can watch the wildlife on the beach, and in the ocean, just as the pelicans fly by the balcony. 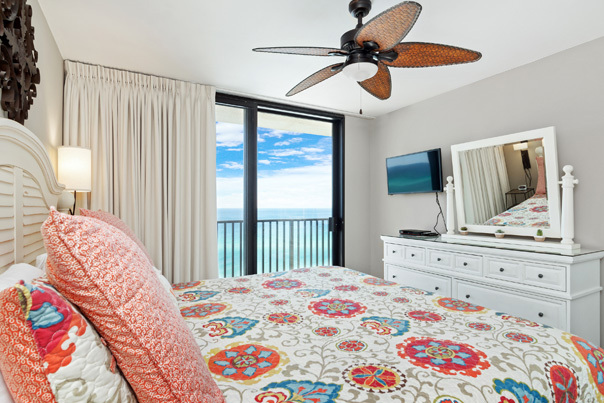 The master bedroom features a comfortable king bed, a 32”inch Smart TV, and updated bath. 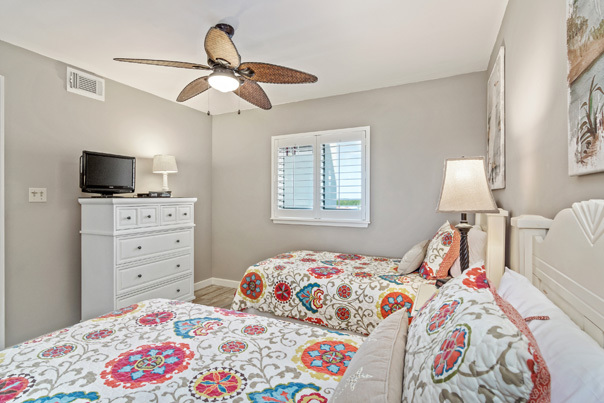 For the kids, the second bedroom features comfortable twin beds, and a 19” DVD/TV, and new bathroom. Both rooms have large closets as well as plenty of dresser drawer room for your clothes. If additional sleep space is needed, the sofa converts to a queen air mattress sleeper (electric air pump for the sleeper is in the closet). 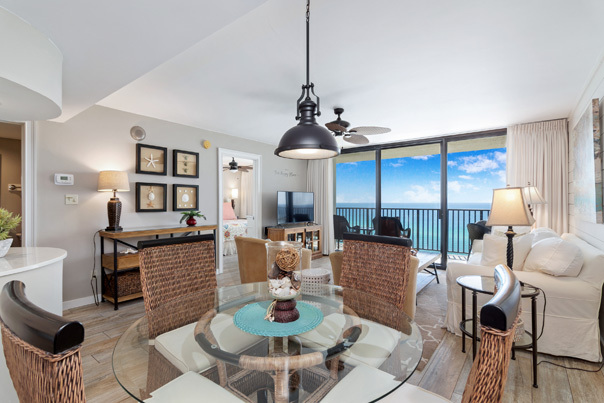 The decor is coastal casual with warm and sandy hues with new tile throughout. All living room and dining furniture have been recently updated, new ship lap siding, along with a 50" 4k Ultra HD LED TV. 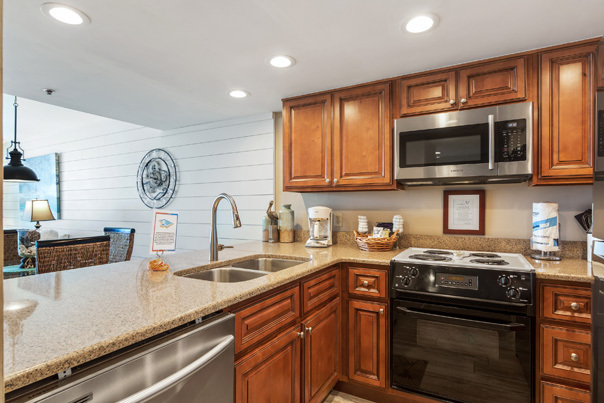 If you like to cook while on vacation, the kitchen has new appliances and is equipped with all the essential necessities. There is a new washer/dryer. Complimentary WiFi and beach set up (seasonal) is included.